I was on the hunt for a universal USB charger that would work with all my devices, to charge on the go as well as having an extra charge supply on hand. 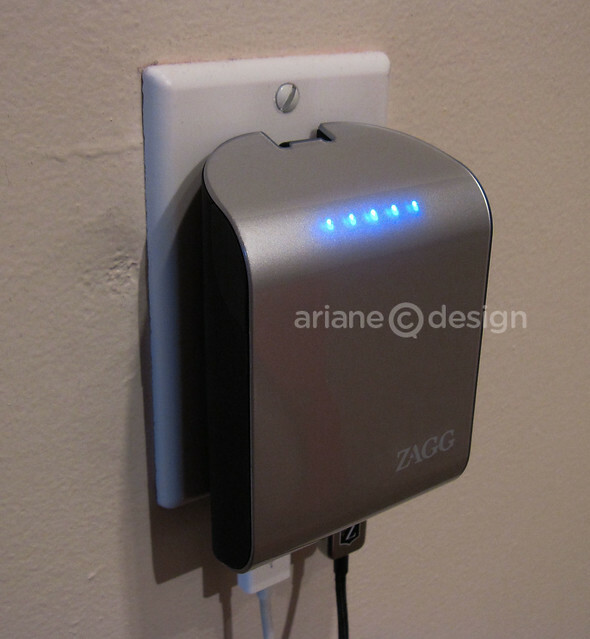 The ZAGG Sparq6000 will hold four charges when its battery is at 100%. 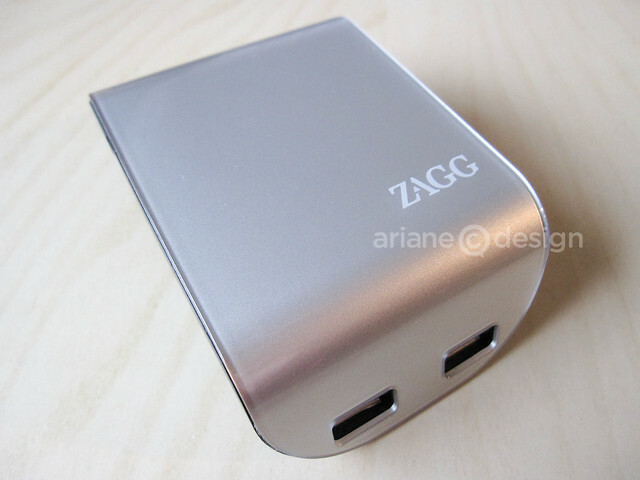 The ZAGG Sparq6000 is part of a series of three USB chargers that differ in size, amount of charges they’ll hold, and price. The 1220 holds one charge, the 3100, two charges, and the 6000 can keep four charges on its two-USB port device. All three Sparqs: 1220, 3100, and 6000 are named for their capacity. 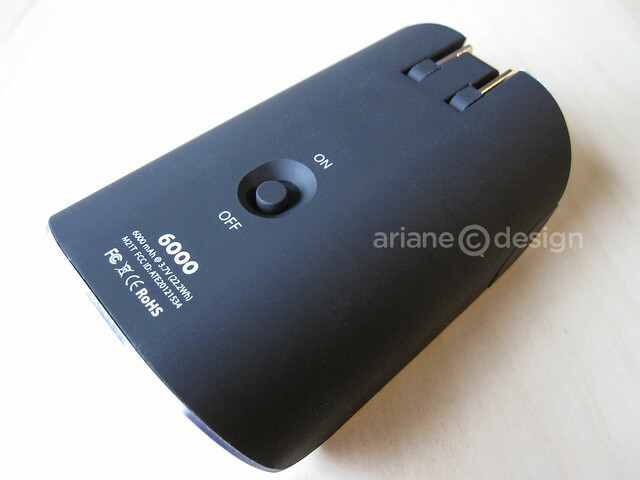 The 6000 ($99.99) has 6000 mAh and up to 2.1A at 5 volts. The other two, while smaller and with one USB port, each carry less charges, but are slightly smaller and are priced at $39.99 and $69.99 respectively. The Sparq charges smartphones and tablets four times faster than a standard USB charger, and in the case of the 6000, can charge more than one USB device at a time. It has an onboard wall socket that eliminates the need for an additional power outlet, as well as an on/off button to help conserve battery power when it’s not in use. The charger feels solid in the hand with its smooth black rubber back and sleek glossy silver front. Five LED lights on the front show the current power level. There’s a button built into the left side that when clicked will briefly illuminate the LEDs. The LED light counts refer to percentage charged: 5 = 80 to 100%, 4 = 60 to 79%, 3 = 40% to 59%, 2 = 20 to 39%, and 1 = less than 20% charge remaining. These are all estimates as smartphones have varying battery sizes and power efficiencies. 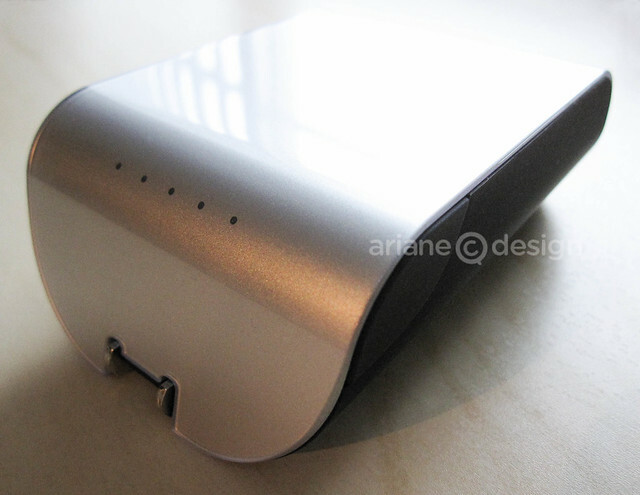 I tested a fully-charged Sparq by charging only an iPhone 4, and then both the iPhone and an iPad 3. It took about an hour to charge the iPhone 4 from 69% to 100%. Then again, the percentage on my iPhone read 97% for about 10 minutes. When I disconnected and reconnected the iPhone to the Sparq, it was at 100%. Next up was charging two devices in one go. In an hour and 15 minutes, I simultaneously charged an iPad 3 from 68% to 90% and an iPhone 4 from 52% to 100%. 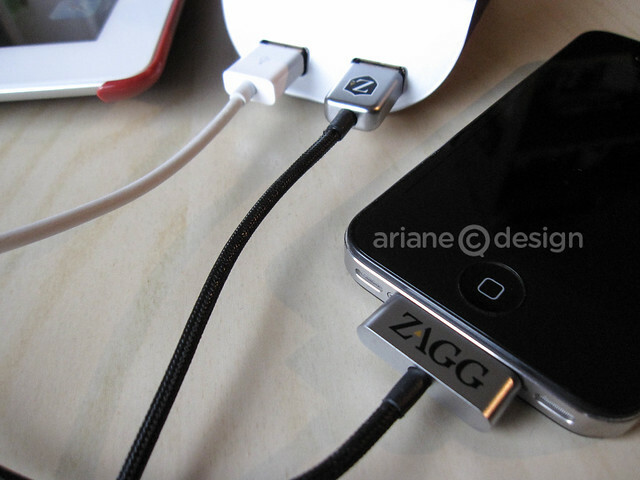 I also took this opportunity to test the ZAGG PowerSync 30-pin cable, with its interlocking nylon cord that promises a tangle-resistant experience. 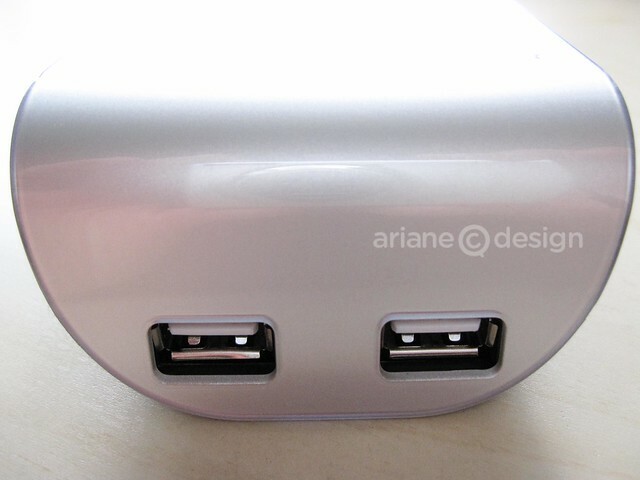 This cable works with all iPhones and iPads (up to the 5), plus iPod Touch and iPod, as it uses the slim 30-pin connector. I found it much sturdier than Apple’s standard cable. It easily plugs into the Sparq as well as to the iPhone 4. Although the Sparq6000 is of considerable size and weight (7.7 oz. ), I still prefer this solution compared to a built-in battery case. The Sparq is smartly-designed, compact, and reliable. It also comes with a one year warranty. 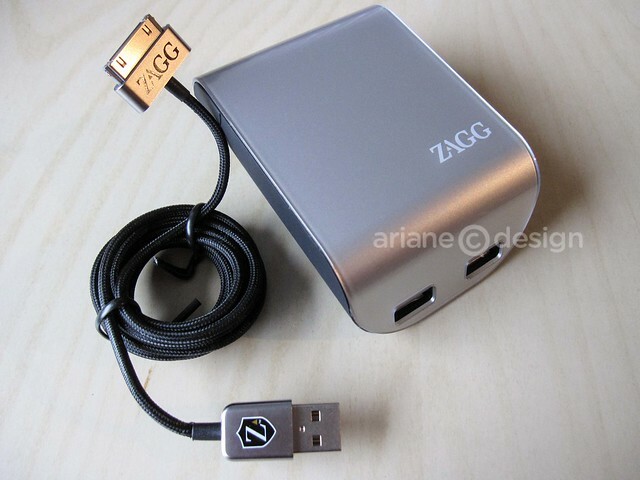 I was sent both the ZAGG Sparq6000 and ZAGG PowerSync charger cable for the purpose of writing this review.